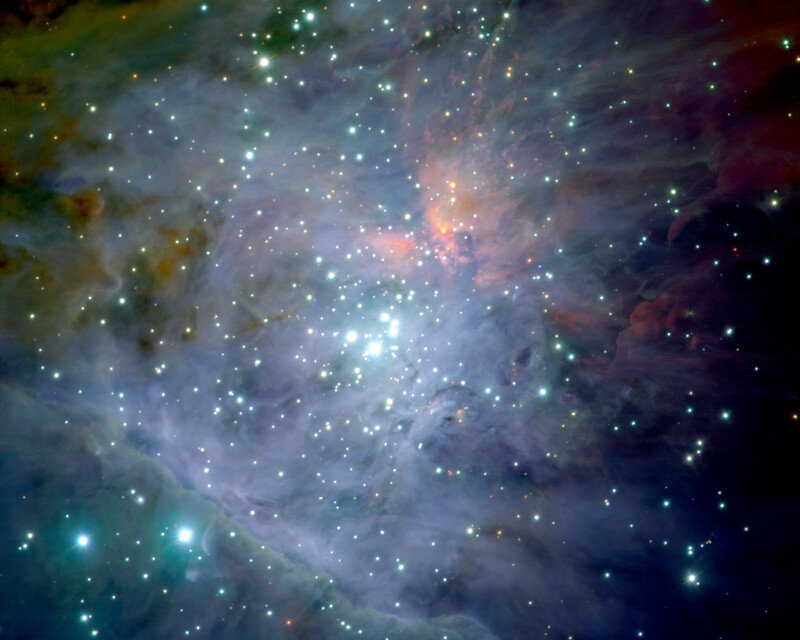 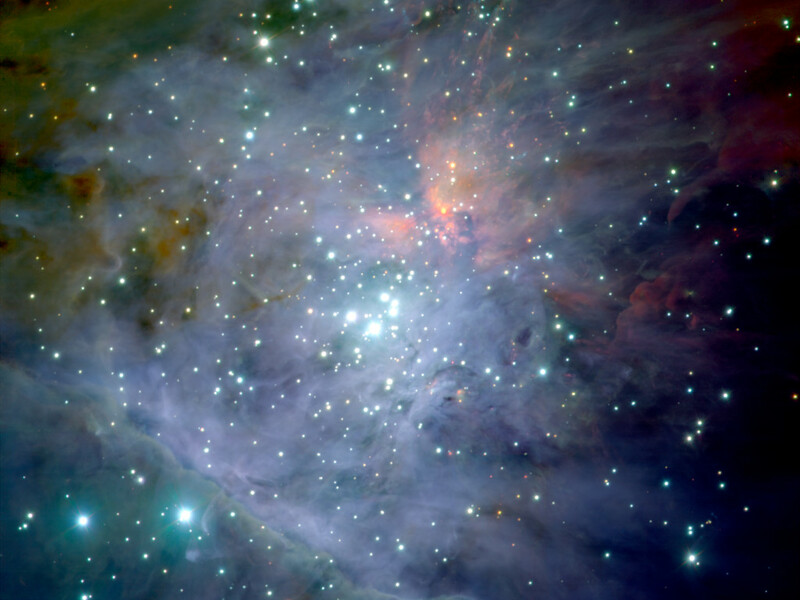 This photo shows a colour composite mosaic image of the central part of the Orion Nebula, based on 81 images obtained with the infrared multi-mode ISAAC instrument on the ESO Very Large Telescope (VLT) at the Paranal Observatory. 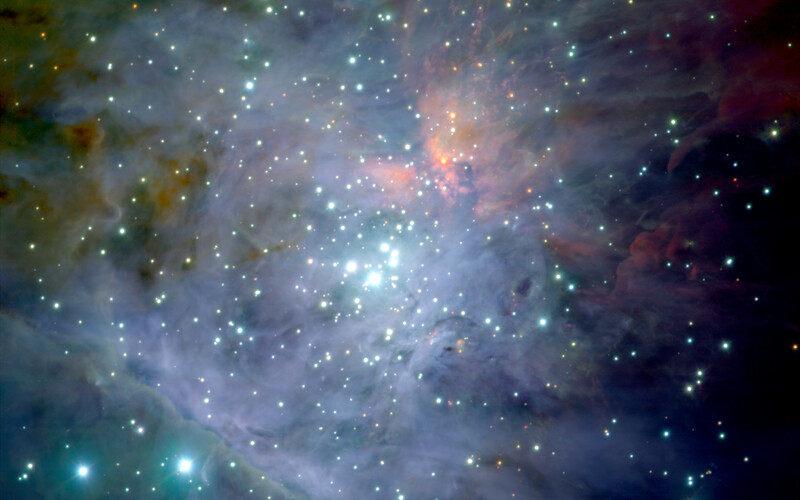 The famous Trapezium stars are seen near the centre and the photo also shows the associated cluster of about 1,000 stars, approximately one million years old. 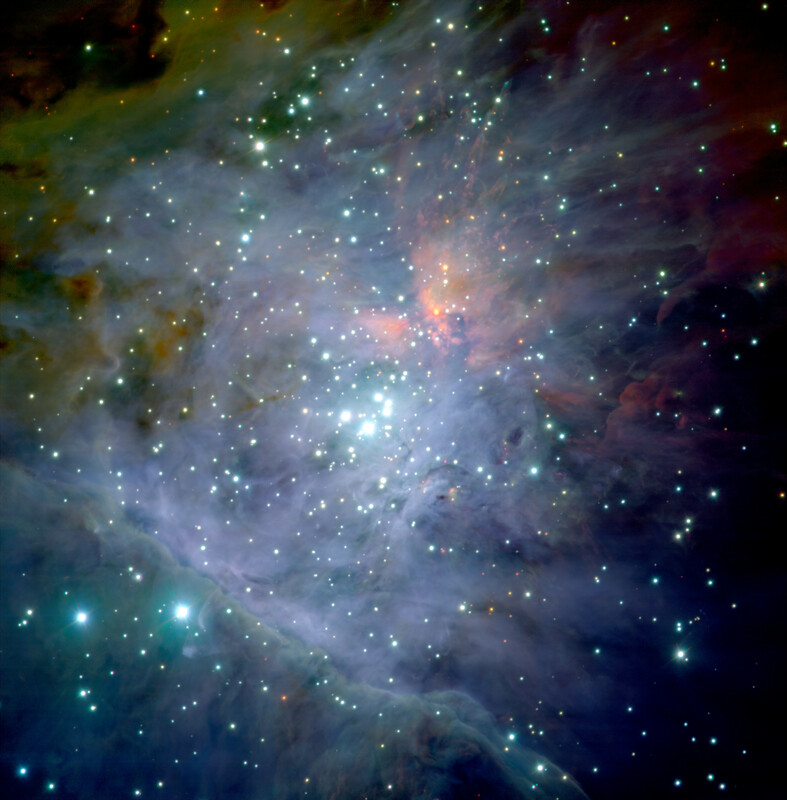 Position (Dec): -5° 22' 59.93"